Defamation — sometimes called slander or libel — is when a person makes a false statement about you that harms your reputation or business interests. Our libel attorneys can help you fight these cases. There are several categories of defamation that are presumed to cause injury. 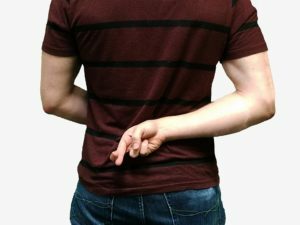 Those include false statements that you are a criminal or have been involved in a crime, or false statements that you are dishonest or unethical. Other types of false statements are usually only actionable if the statements cause you financial harm. If this has happened to you, you may be in need of a defamation lawyer in Denver. One primary defense available to persons accused of defamation is truth. If the statement made about you is true, a defamation claim will usually fail. Some forms of defamation also require you to prove that the person making the false statement did so intentionally or maliciously. For example, if you are a public figure, or if the statement is made about an important public matter, the law sometimes requires you to prove that the person making the false statement knew that the statement was false and/or intended to harm you in making the false statement. Our libel attorneys can help you get justice! Statements of opinion are also usually not considered defamation. The law requires that the defamatory statement must be as to an existing fact. When a statement includes words such as “it is my opinion,” or “I think,” or similar words, courts often construe the statements as being opinions as opposed to defamatory statements of fact. Reinan Law has years of experience fighting these cases. Our experienced defamation lawyers in Denver know how to help you. Many homeowner insurance policies provide some sort of coverage for defamatory statements, so long as the statements were not made intentionally or maliciously. We also have experts in a variety of subjects including some of the top nursing home lawyers in Colorado. If you feel you or a loved one has been the victim of defamation and are in need to a defamation lawyer in Denver, please contact us today at (303) 894-0383.